Weightlifter who won a silver medal at the 2012 Summer Olympics in the 62 kg division. He was a talented teenage weightlifter, before making his Olympic debut in 2004 as a 21-year old. He won a gold medal at the 2008 Pan American Championships. He was born in Zaragoza, Antioquia, Colombia. 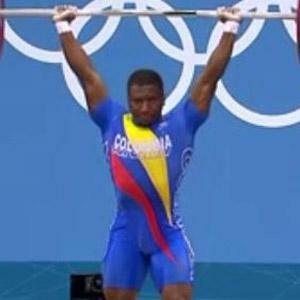 He was part of a weightlifting showcase at the 2012 Olympics that featured Kendrick Farris.